A native of Mt. 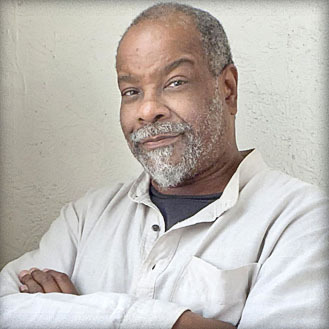 Vernon, NY, Jarvis Grant has always been a champion of New Media arts. While majoring in anthropology at Howard University, his interest and passion for photography, led him to become the University’s first BFA Photography graduate. He began his Washington, DC studio shortly after graduating with clients including Coca-Cola, Burson-Marsteller, National Museum of American Art, San Francisco Museum of Modern Art, Southwest Airlines, and Sony Music. During this time, he also became Assistant Professor of Art at Howard University, creating a world class photography program. As an artist his national exhibitions include the Corcoran Gallery of Art, Smithsonian Anacostia Museum, New York University, Art Basel Miami, and the Los Angeles Center for Digital Arts. His photographs are in the collections of Crane & Company, The Center for Fine Art Photography, District of Columbia Art Bank, Images of Washington, Center for Creative Photography, Ansel and Virginia Adams Collection, and United States Department of State’s Art in Embassies. A recipient of many art awards including Visual Arts fellowships from the DC Commission of the Arts, the National Endowment for the Arts and the Prix de la Photographie, Paris. As an arts educator, he was K-12 specialist working with IBM, Inc., Ellington School of the Arts’ Museum Studies department, and the National Gallery of Art in the development of the National Gallery’s digital “Micro Gallery”. While at Ellington’s Museum Studies department developing and teaching the school’s Mmuseum Studies’ digital imaging curriculum, the only one in the nation, he received the Surdna Foundation’s Artist Teacher Fellowship. Jarvis is also an Adobe Certified Expert in Photoshop. Thanks Daisy, I really appricate your kind words.